Sami will be developing his short film 'Our Father'. Nadira will be developing her short film 'Icarus Rises'. 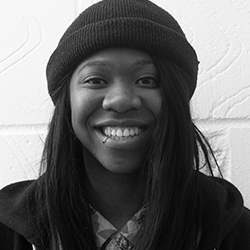 Nosa will be developing her cross-platform interactive series, 'This Young Moment'. Iona will be developing her short film 'Martha'. Lwimbo will be developing her cross-platform installation 'Dem Belly Full'. Lula will be developing her project 'LulaBOX', a cross-platform live theatre performance. TalentLab is a unique creative talent development network aimed at the UK’s emerging and established BAME filmmakers, writers, creative producers, and artists across genres. TalentLab transforms raw talent, using a model that has already proven highly successful in B3’s past professional development and production programme partners which have included: Arts Council England, BFI, Film4, BBC Films, BBC Writersroom, Commonwealth Foundation, National Theatre, Southbank Centre, Tate Online, Young Vic, and many more. Recent Alumni have been featured at Rich Mix (Nisha Bhakoo: ‘I’ Amir’ – 2014 Alumni), BAFTA (Aleem Khan: ‘Three Brothers’ – 2013 Alumni), London Short Film Festival (Riffy Ahmed: ‘Girl Like Me’ – 2015 Alumni) and Encounters Short Film Festival (Dean Anderson: ‘Class 15’ – 2015 Alumni). Backed by Creative Skillset and University of Nottingham’s Horizon/ Mixed Reality Lab, TalentLab 2016 will offer participants a unique opportunity to hone their skills, sharpen their focus and gain the contacts and confidence to compete in producing multimedia content for multi platform distribution and connecting their work with audiences on and offline.